YTL Land and Development Bhd (YTL Land)’s sweep of both the low and high-rise Residential Development Awards in this year’s International Real Estate Federation (FIABCI) Malaysia Property Award is significant in several ways. Its winning entries are the low-rise Lake Edge in Puchong, Petaling Jaya and the high-rise, The Maple at Sentul West in Kuala Lumpur. This is the first time that the same developer has won both the coveted awards since the Residential Development Award was divided into low and high-rise categories in 2006. Second, this is the third time in three years that YTL Land has won the Residential Development Award. Its Andalucia at Pantai Hillpark, a Spanish-style gated development in Kuala Lumpur won under the high-rise category in 2006. No other developer has achieved this before. Thus YTL Land has solidly stamped its mark as an innovative developer of high-end, lifestyle residential developments. Third, YTL Land’s wins will encourage developers to be more daring, creative and innovative in their approach particularly in housing design and concept. This is pertinent as house buyers are very discerning and constantly demanding better products. The latest achievements bring the total awards that the YTL Group had won in the FIABCI Malaysia Property Award to six. The other four being the Special Award for National Contribution (for Kuala Lumpur Performing Arts Centre or KLPac won in 2007), Master Plan cateogry (Sentul West and Sentul East Master Plan in 2007), Residential Development for high-rise category (Andalucia at Pantai Hillpark in 2006) and Property Man of the Year 2003 won by YTL Group executive chairman Tan Sri Yeoh Tiong Lay. (Incidentally the Hap Seng Group also won two awards this year. They are for its Hap Seng Star Mercedes-Benz Autohaus, Kuala Lumpur under the Specialised Project Award and its Hap Seng Mercedes-Benz Autohaus Service Centre in Kinrara, Selangor under the Industrial Development Category). YTL Corp Bhd deputy managing director Datuk Yeoh Seok Kian, who received the two trophies from the Yang di-Pertuan Agong on Wednesday at the FIABCI awards ceremony, said he was “overwhelmed and honoured” to receive the awards. YTL Land has engineered urban renewal and enhanced the value of an established neighbourhood that improves people’s quality of life. Like other industry leaders, it shares a common trait: ability to innovate, creating demand, and taking challenges as an opportunity to do better. So what is so innovative and special about Lake Edge and The Maple? YTL Land created a niche in a competitive market in Puchong. Instead of building a traditional township, it developed Lake Edge as Puchong’s first gated community featuring lakeside living and fenceless homes where 45% of the land has lovely landscaped features. It boosted Puchong’s image. Many of its 420 upmarket homes overlook a 12-acre disused mining lake. Density is only 5.5 units per acre or 28 people living on each acre as compared to industry standard of 8 units per acre. The homes are larger than the usual modern tropical courtyard houses and have unique features. For example the 37 units of 100-ft long Pavilion Terraces each has a reflective pond separating the pavilion from the main section of the house. The Garden Terraces with extra 20ft length has an outdoor jacuzzi overlooking a 20ft private garden where one can enjoy a private space in one’s own garden. The latest design, 50 Waterville terraced homes has a private pool each. As for The Maple at Sentul West, (the only residential development in Kuala Lumpur with a 35-acre private park), YTL Land again stressed on having lots of green spaces with 60% of The Maple’s site dedicated to landscaping. It is a delight strolling in the park that was converted from the former 9-hole Sentul Golf Course. ASIA Pacific Land Bhd (AP Land) will be breaking into Japan’s lifestyle property market with the upcoming launch of its maiden project in Niseko, Hokkaido by the year-end. “Lifestyle projects are in vogue in Japan to cater to the well-heeled and savvy travellers. We are also exploring opportunities in Osaka and Tokyo,” AP Land joint managing director Low Su Ming told StarBiz. AP Land’s resort project, called Shiki Niseko which means four seasons, is a high-end residential development located in Niseko, a popular ski-resort destination. Low said there were vast opportunities to be tapped in China, Singapore, Hong Kong, Taiwan, Australia and Russia, for the resort-type property developments. The project will generate an estimated gross development value of US$52mil. 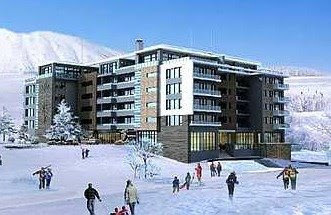 Located in the most sought after part of Niseko-Hirafu, the project is set to make waves with its unique design. Low said the project will be designed by internationally acclaimed architect DBI. “Located centrally with good access to the ski lifts, Shiki is built over a 3,082 sq metre planned space with seven storeys of architectural ingenuity,” she said. There will be a combination of 45 fully furnished two- and three-bedroom apartments, including four penthouses. The units will be priced from US$1mil to US$2mil. The land, which was acquired for RM18.9mil in February is located near ski lifts and surrounded by restaurants, bars and retail outlets. AP Land will be the first Malaysian developer to undertake a property development in Niseko. 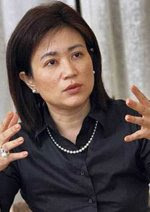 “The arrival of AP Land will open up Niseko to yet another growing Asian market, especially investors from Singapore and China,” she said. Singapore is on the verge of engaging in a more vigorous way with the Niseko market while the strengthening of the renminbi against the US dollar in the past several years, had made it much cheaper for the Chinese to buy property in Japan. “Located on Niseko’s doorstep with direct flights from Shanghai to Chitose, China represents a huge market opportunity,” Low said. Meanwhile, major ski tour operators in Britain such as Ski Independence, Crystal, Kuoni and Inghams are also featuring Hokkaido in their tour booklets. Low said the Niseko area would continue to enjoy remarkable growth, adding that investment return had been incredible in recent years, with further capital growth expected. “Niseko is clearly a world-class ski location, with its real estate still a fraction of the price of comparable international destinations. Summer bookings were up by 100% this season. Following the influx of holiday makers to the area, Niseko resort operators and the local government are working together to improve its infrastructure and amenities including shuttle bus routes, new shuttle services and high speed internet by next November. “Niseko’s natural assets differentiate it from the other ski resorts. “These include an average 13 meters of powder snow in an era of declining snowfalls; true four-season beauty and an unspoiled pure environment. “Its close proximity to other fast growing Asian capital cities also ensure its rapid growth into a sought after resort destination,” Low pointed out. MALAYSIA Property Inc (MPI) will kick off its maiden international property roadshow in Tokyo on Dec 6 and 7 to attract Japanese institutional investors to Malaysia’s shores. According to executive director Yu Kee Su, the two-day roadshow will project the advantages of Malaysia as a property destination. ”In Malaysia, foreigners can buy an unlimited number of property; register the property under their names; and there is no real property gains tax, inheritance and transfer tax. In Japan, these taxes are as high as 60%,” Yu pointed out. Yu expressed confidence that the road show would be well-received in spite of the current global economic uncertainties. The Tokyo road show is the first of the Far East’s property promotions by MPI, a joint public and private sector initiative formed early this year to promote Malaysia’s property internationally, that will also cover Britain and the Middle East in the coming months. “It is a challenge to the organizers to ensure the success of the Tokyo road show as there has yet to be any Japanese institutional investors in Malaysian properties,” Yu said. Under Malaysia My Second Home (MM2H) programme, Malaysia is already a top choice among Japanese for long stays and retirement. “There are already investors from the Middle East and South Korea buying our local property en bloc and off the plan but none yet from Japan. We hope the road show will change that,” Yu said. MPI is organising the road show with Ohana International Co Ltd as the event manager. It has the support of the Japan Travel Bureau (JBT) and the Long Stay Foundation (LSF), both of which have brought in record numbers of Japanese retirees under MM2H. Also partnering in the Japan road show entitled “Luxurious Malaysia, long-stay, property and financial fair” at the Mitsui Life Insurance Hall, Otemachi Tokyo, are HSBC Tokyo and Mitsui Life Insurance. Both will send direct mail and emails to their vast clientele of the upcoming road show. Some 1,000 prospective clients are invited including institutional investors such as Ishin Hotel REIT Management, RETEC Co Ltd, Orix Property, Hotel Management International, ING Property Investment Advisory Co Ltd, Renessance Capital, Star Asset Management, Goldman Sachs Realty Japan, Toyo Securities Co., Ltd, and Shinko Securities Co, Ltd.
Yu said participating developers in the road show would be invited for roundtable discussions and meet Japanese REIT investors and fund managers at private meetings and at business matching sessions during their stay. Keen Japanese investors can join Ohana’s “Discover Malaysian Property Tour” to visit and familiarize themselves with the local property market assisted by the participating Malaysian developers. Ishihara Shotaro, a MPI board advisor, said cash-rich Japan was lagging behind the US and Britain in foreign investment. “The time is right to promote Malaysia’s property in Japan as the stronger yen against other currencies would make living cost and property prices much cheaper,” he said. While many property developers are lying low and cutting back on launches in the face of a property market slowdown, I-Bhd is still making news for its most important and sole project, i-City intelligent city. The former electrical appliance-maker turned information and communication technology (ICT)-based property developer has in less than two years forged strategic alliances with a slew of high-profile international and local partners. They included ServCorp, CISCO, DataCraft, Intel, Telekom Malaysia, Kompakar, Universiti Industri Selangor, and lately AmBank, to provide this “No. 1 Technology City in Asia” state-of-the-art infrastructure and facilities from giga-speed fibre-optic network to smart banking services including full e-banking facilities. “We are very pleased that i-City’s development is gaining momentum and becoming a global intelligent city comparable to other intelligent cities such as Dubai Internet City and Hong Kong Cyberport. “The first phase of the development, comprising 300,000 sq ft of Cybercentre office suites has been completed in June this year and is ready for occupation,” said I-Bhd deputy chief executive officer Lim Boon Siong, adding that many tenants had moved in and renovating their offices. Among key tenants are Logica and Redhot Media from the Britain and Unified Communication from Singapore. Kompakar, a leading data centre operator listed in Bursa Malaysia will occupy the 50,000 sq ft Tier-4 Ready data centre by first quarter of 2009. “Future phases would transform i-City into a fully integrated township, comprising a shopping mall, corporate towers and offices, Cybercentre office suites, innovation centre, hotels and serviced apartments. It will also house multiple high-performance data centres and a digital media hub,” he added. I-Bhd’s team has worked tirelessly the past three year and gradually seeing their labour bearing fruit. On Oct 27, i-City was accorded “International Park” status by the Selangor state government, a boost to its image as the choice base for global technology firms. The Government certified the privately funded project as an MSC Malaysia Cybercentre last May. Lim said with the MSC Malaysia Cybercentre and International Park status, i-City’s vision to be the world’s foremost global intelligent city has been realised and would draw MSC Malaysia tenants and multinational companies (MNC) to invest in Selangor and Malaysia. “To-date I-Bhd has invested over RM120mil. Our one-stop Concierge managed by ServCorp has been operational since October. “Rental of meeting rooms and events hall with super-broadband of 20Mbps is also available. Tenants and visitors now have access to wireless internet with speeds of up to 20Mbps until March 31, 2009 for free,” he said. Lim said phase 1 of CISCO Connected Real Estate (one of the world’s largest connected real estate) had been put in action such as CCTV to the personal computers and IP telephony which incorporates state-of-the-art teleconferencing system. “This integrated commercial development is planned for both work and play. Tenants can expect to reduce their operation cost by as much as 30% and they could work, learn and socialise in a safe and secure environment served by remote surveillance, smart car parking, information kiosks, sensory-activated light and sound multimedia displays along a 1,000-foot pedestrian walkway,” he said. Lim said the project was on track with the next phase of Cybercentre office suites to be ready by Q3 next year. “What is exciting is that we have received increasing enquiries on purpose-built office buildings from MNCs to consolidate their office space and shared services from this region,” Lim said. When asked to confirm rumours that I-Bhd is negotiating with a foreign party to develop the shopping centre in i-City, Lim said talks had reached an advanced stage and “is on track”. “We anticipate the mall to be operational by Q2 2012. We continue to receive anchor tenant interest in leasing space in the mall. “One of them, GSC, has expressed interest to build a futuristic cinema in this mall,” he added. While the Cybercentre office suites were funded internally, he said the group might also seek other funding options such as joint ventures. DNP Holdings Bhd has lined up high-end residential properties for launch in Seberang Prai and on the Penang island in 2009 and 2010 in tandem with its efforts to raise the revenue contribution from property development. The group’s main revenue generator is presently the garment manufacturing business arm. The properties planned for the first half of 2009 have a gross sales value of RM160mil, comprising 396 units of terraced, semi-detached, bungalows, and catalogue shops. Its property arm, DNP Land Sdn Bhd, plans to launch the Sentral Greens project on the island in the first half of 2009 while in Central Seberang Perai, it aims to launch the second phase of BM Utama in Bukit Minyak and Taman Seri Impian in Alma. The BM Utama launch would comprise 200 double-storey terraced houses, semi-detached, bungalows, and catalogue shops while the Sentral Greens project comprises 54 units of three-storey terraced and semi-detached properties. The double-storey terraced and semi-detached homes in BM Utama are tentatively priced at RM290,000 and RM420,000 respectively, while the Sentral Greens properties are from RM808,000 onwards. The Taman Seri Impian properties, comprising 142 terraced, semi-detached, bungalow, and commercial properties, are priced from RM240,000 onwards. DNP Land general manager K.C. Tan said the group was focusing on development in central Seberang Perai because it was the district with the fastest growing population. “There are more job opportunities in central Seberang Prai, as there are many industrial facilities in the district. There is also room for infrastructure to grow in central Seberang Prai,” he said. Big overseas corporations such as Ibiden Co Ltd, Honeywell International, and St Jude Medical Inc are injecting billions of ringgit into their manufacturing facilities in Seberang Prai and Bayan Lepas. These investments would create job opportunities and demand for housing in affordable housing estates in Penang. In view of the sluggish market, DNP Land is taking a very cautious approach on selecting the type of properties for launch. “During such times, the challenge is to launch projects that can attract buyers, taking into consideration that consumers are more particular in their taste when it comes to purchasing properties,” Tan said. He said although the price of steel had come down by about 20%, the selling price of properties had yet to drop, as the prices of other raw materials such as cement and other aggregates remained high. Tan said the only way to go since property prices had not come down was to add value to the projects by introducing guarded community projects for the higher income group working in the industrial estate such as the second phase of the BM Utama project. “We’re creating homes with a variety of designs and equipped with quality finishing, located in a guarded community,” he said. He added that because there are few guarded housing schemes on the mainland, the project should attract attention. “The homes are located within lush greenery and have amenities such as a cycling track,” Tan said. Meanwhile, he said the company wanted to carve a name for itself in the high-end segment of the residential property market on the island with the Sentral Greens project. Tan said the project was located within walking distance to an 11-acre state metropolitan park and 150 acres of forest reserve. “The properties are aesthetically designed with modern architectural facades and designs,” he said. DNP Land’s other planned projects include a guarded community project of super-linked terraced, semi-detached, and bungalow houses on a 100-acre site in Alma, Central Seberang Prai. This project was scheduled for launch in late 2009, he said. Tan said DNP Land also planned to launch the Alma Commercial Hub, comprising shop offices and a retail complex on a 60-acre site, in late 2009. He said this would cater to the needs of Alma residents and complement the existing business park. Tan said the third phase of BM Utama project on a 20-acre site, comprising double-storey terraced and semi-detached properties, would be launched in 2010. Paradise Realty Sdn Bhd is banking on the location of its two property projects in the main growth nodes of Iskandar Malaysia to attract buyers. Managing director Ch’ng Chee Lam said the projects were strategically located within the Tebrau-Plentong river basin development area. “This is among the few remaining last piece of land left for development in the eastern part of Johor Baru with river frontage,’’ Chng told StarBiz. He was speaking at the launch of the Puteri Paradise Serviced Residency at Taman Bayu Puteri near Kampung Bakar Batu on Sunday. The 22-storey Puteri Paradise is the first “condotel” in Johor with built up area ranging from 56.577 sq metre to 135.638 sq metre and a price tag from RM262, 000. It is offering guaranteed rental return (GPR) for the purchasers of the condotel where they would be entitled to 7% rental return annually on the purchase price for the next 10 years. Under the GPR package, three years rental return of 21% in advance would be paid to the purchasers, who have to pay a RM5,000 deposit for a fully-furnished GPR unit. Apart from the condotel, the company is also developing Bayu Puteri Marina comprising 34 units of semi-detached units and 24 units of superlink terrace houses. Early next year, it would be launching 68 units of bungalows, semi-detached houses and superlink terraces fronting Sungai Tebrau. The bungalows are priced from RM1.5mil each, semi-detached units from RM1mil and superlinks from RM700,000. 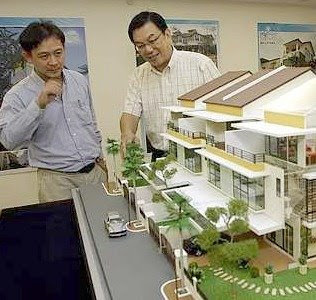 “The two projects will keep us busy until 2011 with RM100mil gross development value (GDV) from Puteri Paradise and RM280mil GDV from Bayu Puteri Marina,’’ said Ch’ng. He said apart from the location, the area would get a further boost with the Permas Second Bridge and Eastern Dispersal Link (EDL) highway in 2010 and 2011. Johor Baru's iconic development at the Danga Bay will be given another boost with a marina, an international convention centre, a boutique hotel, a budget hotel and an office block scheduled to be completed by 2011. 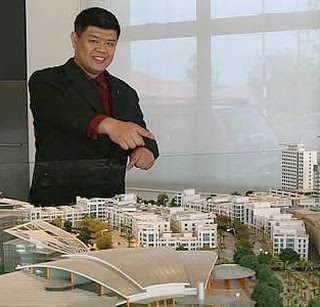 Announcing this yesterday, Datuk Lim Kang Hoo of Limbongan-Ekovest Management Sdn Bhd, the project manager of Danga Bay, said the company has pumped in RM350 million for this latest development which will take place mainly at the existing sites of the International Restaurants and the Bay Leaf Restaurant. The project, once completed, is set to transform the waterfront into both a business and recreational hub. He said the marina development could provide berthing facility for about 250 yachts, making it the largest marina in Johor and the nearest to the Johor Baru city centre. Boasting strategic location and competitive pricing, this development, scheduled for completion by middle of next year, is set to become a new spot for international sailing boats. It will stretch for 500 metres along the seafront. "Level One of the existing double-storey International Restaurants will be transformed into a Marina Club with a bistro. Level Two and a piece of land just beside the building will be the site of a 60-room boutique hotel offering lifestyle accommodation for tourists with a taste for class. "This seafront boutique hotel is the first of its kind in the south. It will be ready in two years. "To make Johor Baru a convention hub in the south, we are transforming the existing Bay Leaf Restaurant into a three-hall Bay Leaf International Convention and Exhibition Centre with a capacity for 3,600 people. "Also to be featured at the convention centre are meeting rooms, seminar rooms, VIP rooms and a mini-theatre. It is expected to be ready by next January," he said. Another project coming up at Danga Bay is a 120-room Tune Hotel, a budget hotel, which will be built next to the existing Danga Bay sales office. Following land acquisition as a result of coastal road construction, a multi-storey car park with a capacity for 1,000 vehicles will be built at the existing Celebration Square. An office block to house Danga Bay Sdn Bhd's corporate office will also be built in the vicinity. Danga Bay is a Johor privatisation project involving the state government's development arm Kumpulan Prasarana Rakyat Johor which is the landowner, and the developer Danga Bay Sdn Bhd. It is jointly managed by Ekovest and Pembinaan Limbongan Setia Bhd. To be developed in phases over 15 years, the massive project covers over 562ha of waterfront land at the estuary of three rivers - Sungai Danga, Sungai Skudai and Sungai Melayu. Known as Seberang Prai or Province Wellesley, the 756sq km land mass, separated from the island by a 13.5km bridge, is the only area in Penang where landed properties are still attractively priced. 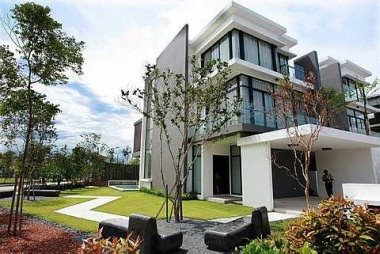 The cost to build a three-storey terraced property, taking into consideration land and construction cost, is between RM200,000 and RM230,000 while launch prices for such properties are usually from RM280,000 onwards, depending on the location of the project. 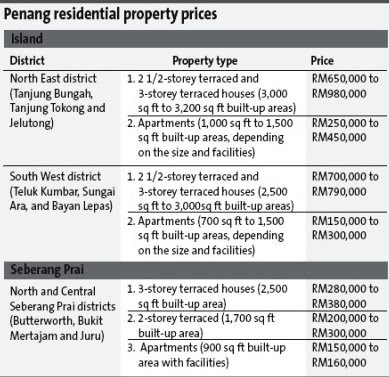 On the island, the combined land and construction cost to build a three-storey house of about 3,200sq ft on the is between RM700,000 and RM750,000, while launch prices start from between RM800,000 and RM900,000. The combined land and construction cost to build a 1,000sq ft high-rise unit is over RM280,000, and the property is priced in the market at RM400,000 and above. Developers are not only attracted to build homes in Seberang Perai due to its lower cost but also because of the new manufacturing activities that have located there thereby creating jobs and demand for affordable housing. While a recession might be around the corner, developers are still planning to launch residential properties although they are more cautious. The growth areas for property projects are in Juru, Bukit Mertajam, Alma, and Seberang Jaya in Central Seberang Prai, Simpang Ampat, Bukit Tambun, and Jawi in South Seberang Prai, and Jalan Raja Uda and Butterworth town in North Seberang Prai. Several developers said the Central Seberang Prai was attractive to them due to the industrial estate located within the district. DNP Land Sdn Bhd, a subsidiary of DNP Holdings Bhd, is focused on developing its landbank in the area, which saw the fastest population growth on the mainland. Tambun Indah managing director Teh Kiak Seng told Starbiz that the type of project a developer would launch in the area depended on location. “For example, in Juru, where it is close to the factories and to the Auto-City, we launched the Juru Heights, which has a gross sales value of RM250mil. The Real Estate and Housing Developers’ Association Penang chapter chairman Datuk Jerry Chan said there would be a slowdown in the launching of new development schemes next year, due to the global recession. He said banks would be stricter in providing financing to developers or home buyers. Sunrise Bhd, well known for its landmark projects in the Mont' Kiara enclave, hopes to garner good margins when it launches properties in Selangor and Johor in future. In Selangor, it has 22ha near the Mines in Seri Kembangan, acquired a few years ago. Sunrise is targeting an upper middle class development encompassing condominiums, bungalows, double-storey link and semi-detached homes, worth in excess of RM300 million. "The company is relooking the planning of the whole development to seek the best products for the area. It will launch properties when demand for houses improves," a company official said. In Mersing, Johor, where it has 160ha oil palm plantation land, the company will launch properties when the market ripens, even if it takes a few more years. Sunrise has held back launches in Mersing as it felt the market was not ready for large-scale projects. "We are in no hurry to push the company's resources there or to launch. We want to focus on areas where there will be profitability for the company," the official told Business Times. Besides its five ongoing projects in the Klang Valley, worth a combined RM3 billion, Sunrise is developing a township worth around RM500 million on 80ha in Seremban, Negri Sembilan. Given the current global financial meltdown, Sunrise will continue to take proactive steps for new launches, the official said. In Mont' Kiara, the company still has 32ha with an estimated gross development value of more than RM3 billion, which will continue to be its cash cow for the next six to eight years. Sunrise executive deputy chairman Datuk Allan Lim Kim Huat said last month that it was going ahead with the launch of two projects in Malaysia and one in Canada next year, worth a combined RM2.5 billion. They comprise its RM970 million flagship project on 2ha in Richmond, Canada, that will build five condominium blocks with some commercial elements; 28 Mont' Kiara, a six-star condominium development; and Solaris Towers, consisting of two office blocks.